Many medication errors go unreported in nursing homes. 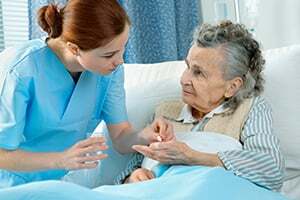 Often, nursing homes are understaffed, and existing staff members are overworked and may be confused about which medication should be administered and how it should be prepared or given. Some common errors include not giving medication with sufficient fluid or food, splitting medications that are not supposed to be crushed or split, preparing medication improperly, telling a patient to swallow sublingual tablets that are supposed to be placed under the tongue to dissolve, overdosing, underdosing, or providing expired or outdated medications. Sometimes there are errors with lab work or incorrect documentation. A Chicago medication error attorney can help you take legal action if you or a loved one is harmed due to a medication error or omission. The nursing home negligence attorneys at Moll Law Group are available to pursue a claim for compensation on your behalf. A single wrong dose or improper administration is unlikely to trigger a severe illness or injury. However, when errors and omissions occur on a regular basis, they can lead to a serious illness or death. If you suspect that your loved one is being given medication improperly, you should investigate and complain. If the medication errors cause injuries or death, you can file a lawsuit. In Illinois, you can file a lawsuit for injuries arising out of nursing home negligence under the Illinois Nursing Home Care Act or the common law. The Nursing Home Care Act applies to long-term care facilities, and it prohibits the abuse and neglect of nursing home residents. In some cases, it may be appropriate to bring a medical malpractice lawsuit against a particular health care professional who works for the nursing home. In these cases, it is necessary for a medication error lawyer in Chicago to consult a physician and obtain a physician's opinion that there is a reasonable basis to sue for medical malpractice. If a medication error or omission causes death, it may be appropriate to file a wrongful death claim. In Illinois, wrongful death claims can be filed by the personal representative of a decedent if the death is the result of a wrongful act, neglect, or default. The decedent may have named a personal representative prior to passing away, but when he or she has not, the court can appoint the personal representative to file suit. Often, the personal representative in a nursing home abuse case is an adult child of the nursing home resident. Damages in an Illinois wrongful death case will be paid only for the benefit of the surviving spouse or next of kin of the decedent. The jury may award any damages that are considered fair and just compensation with regard to losses arising out of the death, including compensation for grief and suffering. In most cases, funeral and burial expenses will be paid directly to the estate, assuming the estate paid for these costs. Usually, family members can recover compensation for loss of care or companionship. If you or a loved one was harmed due to medication errors or omissions, the Chicago medication error lawyers at Moll Law Group understand what you may be going through. We can fight for just compensation for your loved one’s injury, illness, or death. Our firm also represents people in Naperville, Wheaton, Schaumburg, and communities throughout Cook County. Billions of dollars have been recovered in cases in which we have been involved. Contact us online or call us at 312-462-1700 to set up a free consultation with an injury attorney.